Our school is one of the schools who received an Innovative Learning Designs Grant for this coming year. This is Phase 2 of the District project. You can learn a little about the Innovative Learning Design Project here. To help our teachers build their Personal Learning Network, I thought it would be a good idea to bundle up a bunch of great blogs at various grade levels for them to get ideas and inspiration. Jennifer LaGarde (aka Librarygirl) made a similar tool you can find here. I wanted to create one that was more specific to different grades. To start following and reading blogs, you may find it useful to create a Google account and then set up a Google Reader associated with that account. This will allow you to “subscribe” to blogs via the blog’s RSS feed you find interesting and that you’d like to revisit. You could also just copy and paste the link (URL) of the blog directly into your Reader (once you click on “subscribe” in the Reader) and then click ADD. Every time you open your Reader, it will show you which of the blogs you have subscribed to have new posts. It’s quite handy. This will also ensure that your email isn’t bombarded with emails when people add new posts to their blogs (we know we all don’t need any more emails!). When you are getting started, you may want to limit the number of blogs you add to your reader though, so you do not overwhelm yourself. So, let’s get started. Below I have listed a few blogs you may want to consider subscribing to, as you begin this journey. In no way is this list complete. It actually barely touches the surface of what is available for you on the world-wide web. I just wanted to give teachers a starting place, without making them too overwhelmed, hopefully. I tried to include many local bloggers – from SD#36, BC, and Canada. I have also included a few amazing bloggers from around the world as well. The inspiration is endless! You may even want to consider following the authors of these blogs on Twitter (I have not included their Twitter Username, but they would be easy to find if you search their name). If the above list wasn’t enough for you, or you are ready to increase your list of blogs you read, here is another list of blogs I found by Hilary Lewis. Take a look. It’s fabulous! If you know of other great teacher bloggers that you think would be wonderful to add to a google reader to help get people started, please let me know and I will add them to this list. As you can see from this list, these are mainly elementary school bloggers. If you’d like to see a list of secondary bloggers, let me know in the comment section and I may do that list as well. This entry was posted in Collaboration, Connections / Relationships, Leading the Learning, Personalized Learning, Technology, Uncategorized and tagged blog, blogging, blogs, elementary, grades, learning, list, network, personal, pln, starter, starterlist, subject. Bookmark the permalink. Fantastic list, Tia! Thanks for doing the leg work for us :). You are (as always) such a great help to your staff and make innovation fun! Thanks! I just try to make it easy for everyone. I know it is not easy for many, so whatever I can do to help the process, I am more than willing to do. I hope that this list will help some people get started on their way to see the possibilities where they may not have otherwise have discovered. Thank you for always being so willing to take risks and step outside the box! You are an inspiration! Everyone’s tweeting about this post this morning, Tia! And. Can’t believe I made the list! I’m honored! I am going to share this post with my district the first day of school. I’m giving a 40min. session on the power of Twitter that day, because I think our district is way behind yours in this department! Wow! What a whirl wind to wake up to this morning! All the tweets and comments. So fun! I am glad that others will be able to make use of this list of blogs. I am hoping it will help teachers who may be somewhat reluctant about being online to start developing a PLN. We’ll see. Thanks for sharing and good luck with your session with your district. If you search my blog for “Twitter” you will find some useful things, I think. I’ve done quite a few posts about it and the power of Twitter. I can’t wait to hear how it goes in your district! Who are you presenting to? Twitter is amazing! I love Twitter! There are many people who “don’t get” Twitter, so I am hoping if they start following some great blogs then maybe they will venture out to Twitter to see some of the other great educators sharing their knowledge and resources. Hi Tia. Thanks so much for including our class blog in your list. I am a big advocate for students (and teachers) blogging and my students have certainly learned a lot from the experience. Good luck with your project on encourage elementary teachers to develop a PLN. It has been one of the most engaging and worthwhile things I have done as part of my professional learning. My twitter username is @pam_thompson if anyone wants to follow. 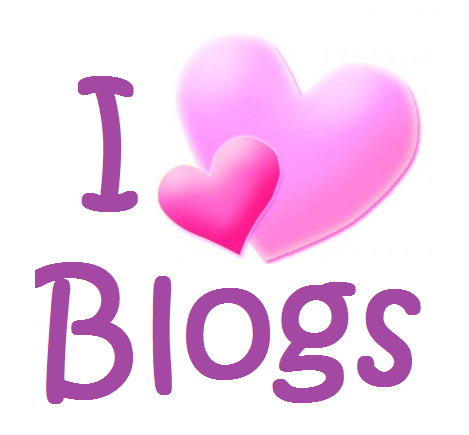 If you know of other great blogs or people to follow on Twitter, please pass their names my way. I would also love to see a list of secondary blogs. How would you organize that list? By subject? Thanks for stopping by, reading, and taking the time to comment. I love Erin and her blog. The main purpose of this list was for elementary teachers to find other elementary bloggers to read. I have included Erin on another list that I made for who to follow on Twitter. Maybe I should make another list just of admin. I will check to see if I’ve done that or not. Thank you for sharing this great list of blogs and including my little blog! It is such an honor to be mentioned among this group of dedicated and inspiring educators. I depend so much on my PLN to guide and inspire me in my journey of integrating technology in my gifted classes. I really liked your blog because there are not many that focus on the gifted learner. So often, I feel they are taken for granted and not focused on. I really believe that we need to work hard to keep these gifted learners on our radar because I think many of them are at risk as well,if their needs are not considered. Fantastic list of blogs! I am going to share this with everyone! Thank you for you hard work and for making this available to all! Thanks for reading and commenting. I really wanted to feature a lot of local bloggers, so if you know of any other local (Surrey, BC, and even Canada) that are great, please let me know. There are so many great educators out there, we need to get the word out! Thank you very much for including me in your list! I, too, am sharing this list with as many people in my school and district as I possibly can! Fantastic list! Congratulations and good luck with the Innovative Learning Designs Grant! Very exciting! I’ll be watching to see how that goes in the year to come! Thanks for commenting! I look forward to seeing what this year brings. It will be a busy year, for sure, but full of excitement and learning. We’re really looking forward to a great year. I’ll be looking forward to hearing about your year as well! Thanks for including both my professional and my class blog. I have to say I’ve never been much of a writer but having two blogs has made me love writing. Yes, I said that. I love writing these days. If people are interested in following me on twitter I’m @lirenmanlearns . Everyone I’ve met on twitter has something to share. I can’t wait to hear the stories others have to tell. Can’t wait to see what this up coming school year will have in store. Blogging is a great thing – for everyone. It’s great for those who blog to be able to share. And it is great for those who read because we can all learn so much from one another. I look forward to hearing and reading about your year ahead. What a nice surprise when I opened this tweet and saw my blog name! I can’t believe I made the list. Thank you for including me. This is exactly what one needs to get started on PLN. I will share it with my colleagues. Best of luck on your Innovative Learning Design Project! Thanks for your best wishes. I am excited about the project and look forward to what next year will bring! Such a great list. Can’t wait to check out more of these. And thanks for including mine! I hope you find some inspiration and great ideas from some of the blogs that I listed. It’s so difficult doing lists like these. On the one hand, it is helpful, I think to people just starting to develop a PLN (that was my purpose), but on the other hand, you can’t include everyone (especially if you don’t want to overwelm those new to PLN’s) and then people’s feelings get hurt. I hope that this is not the case. If you know of, or come across, some other great blogs, please send me their URL’s and I will include them. Tia, I’ve always shared a list of blogs to get started with when I teach how to use Google Reader, but this list trumps mine! I can’t wait to use this in the session I’m leading in August. Thank you!! I’m glad you think this will be useful for others. I tried not to include too many at each grade level as I didn’t want to overwhelm people just starting to develop a PLN. I’d love to see the blogs you usually share. Maybe there are some that I can add to this list. What a great list! Thank you for sharing this! 🙂 I’ve just started my own personal blog (just yesterday!) so this is great to read others’ blogs and share ideas. I LOVE having a PLN… I feel like I’m going to be a better teacher because of it. Thank you for sharing! Congratulations on starting a blog! Good for you. You are right, you will likely be a better teacher as a result of having a great PLN and even as a result of starting a blog. I’d love to see your blog though. Could you share the link, please? Good luck and best wishes for a fabulous upcoming school year! What a great list! How wonderful that you have shared this. May I add my blog to your list of Misc.? http://teachingwithsoul.com I’m the founder of New Teacher Chat #ntchat on Twitter and my passion is to support and mentor new teachers. Thanks so much! Absolutely, I have added your blog to the list! I can’t believe I didn’t add it to begin with. Clearly, it’s a very small list which could continue to grow and expand. I love this list! So many of these bloggers inspire me often. And now I can’t wait to explore new connections! What an amazing resource, I can’t wait to share 🙂 I am very honored that you included mine & Ann’s blog. Twitter has been an amazing support system for the both of us and we continue to appreciate our PLN each and everyday- so THANK YOU! I’m glad you find this list useful. That was my goal when I put it together – for people to find it useful, but not overwhelming. It’s so easy to become overwhelmed in the twitterverse or the blogosphere! I look forward to reading about your upcoming year!